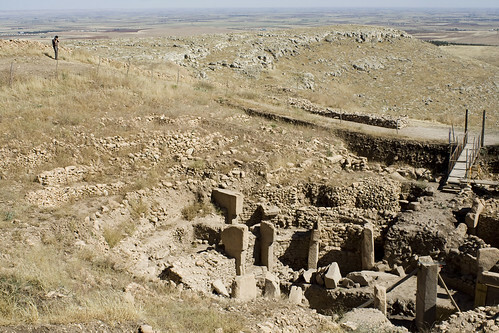 As per archaeologists the ruins found at a hilltop in south-eastern Turkey, known as Göbekli Tepe, are of the oldest temple structure discovered so far. 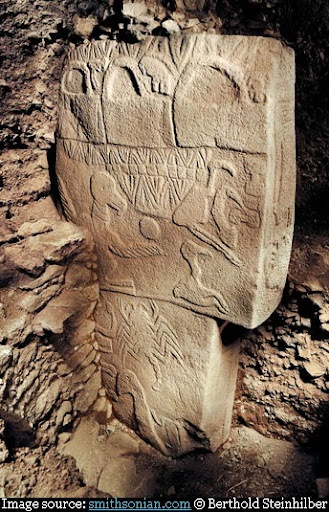 Göbekli Tepe contains several nearly circular structures which have huge T-shaped pillars, some of which are carved. 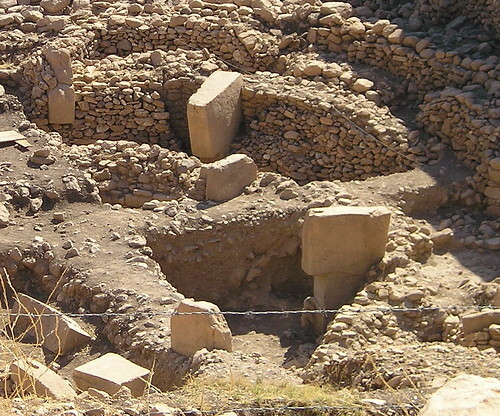 These megaliths date back to 10th millennium BC (c. 13,000 years ago) which is about 6000 years before Stonehenge and more than 10,000 years before the earliest Egyptian Pyramids. The structures are remarkable in the sense that these massive carved pillars, which have a height of 3-6 metres and weigh 40-60 tonnes, were crafted and were erected when Man was still a nomad, concept of community living was unknown, organised farming had not started and there were no metal tools. 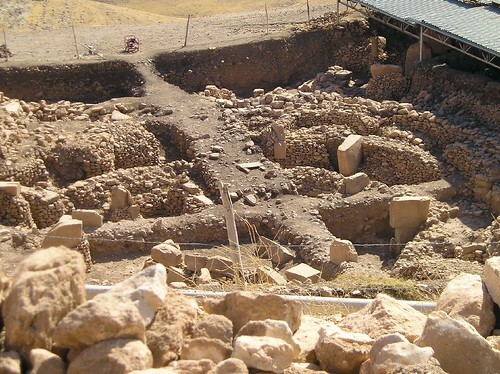 As per the official web page gobeklitepe.info the remarkable structures leave us "... scratching our heads as to how on earth they accomplished such a monumental feat. In a time when even simple hand tools were hard to come by, how did they get these stone blocks there, and how did they erect them? With no settlement or society to speak of, with farming still a far cry away, in a world of only roaming hunter-gatherers, the complexity and developed blueprints of these temples represented another enigma for archeologists...."
The site was first excavated in 1995 by Prof. Klaus Schmidt, a German archaeologist, and he believes that these are ruins of earliest known temple in the World. It is however not known as to who were the deities. However the stone carvings contains images of animals - Lion, Foxes, Snakes, Wild Boars, Water Birds and Scorpion etc. Some of the stones depicts multiple scenes as if trying to tell a story.